Click here for LMT directions on Google Maps. Exit Del Mar Ave. exit 25A. Turn left/south on Del Mar Ave. Drive about 1.5 miles. Turn right on Redding Ave. In about 0.2 mile, turn right on Mooney Drive. 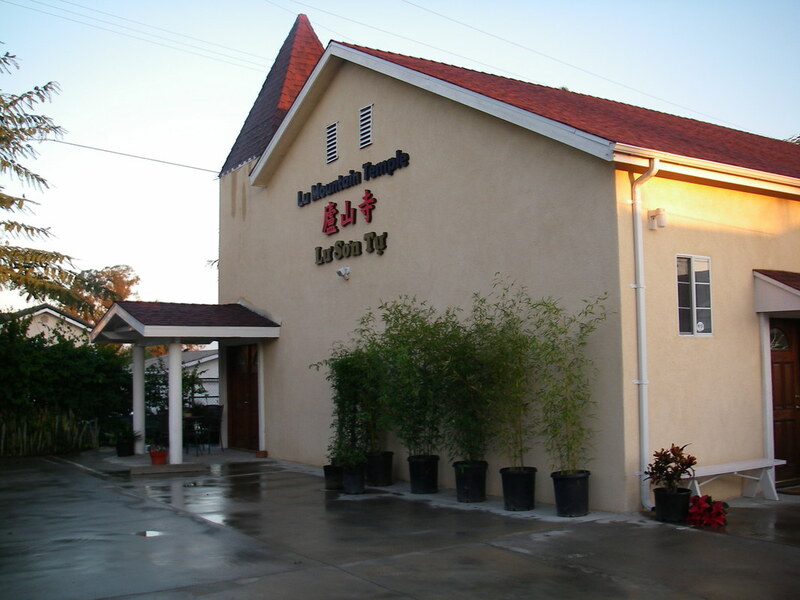 Lu Mountain Temple is on the right at the corner of Mooney Drive and Bailey Avenue. Exit Del Mar Ave. (take first off ramp), heading south. Drive about 3 miles. Turn right on Redding Ave. Then in about 0.4 mile, turn right on Mooney Dr.
Take San Gabriel Blvd exit 9 toward Rosemead. Use the 2nd right lane to turn right onto San Gabriel Blvd. Continue straight, in about 0.6 mile, road becomes Hill Dr. When you cross Potrero Grande Blvd., road becomes Del Mar Ave.
Next block, Miralinda Dr., turn left. Becomes Mooney Drive, head uphill. Lu Mountain Temple is on the right, at the corner of Mooney Drive and Bailey Avenue. Take Paramount Blvd exit 8 toward Montebello. Use the left 2 lanes to turn left onto Paramount Blvd. In about .7 miles turn left onto Hill Dr. In about 0.5 mile continue onto Del Mar Ave. Cross Potrero Grande Blvd. In 0.1 mile, turn left at Miralinda Dr., continue on to Mooney Drive making a slight right. Click here for WMT directions on Google Maps. 0.1 miles, the temple is on the left, on the corner of Emerson and Evelyn. 0.7 miles, turn left onto Hill Dr.